Today brings yet another glimpse of the Nokia Lumia 928. Whether Nokia's deliberately putting up billboards and magazine ads or they've lost control of their ad agency isn't clear (we'd bet on the former), they've successfully managed to build up some buzz without saying anything official. Just today an ad for the Lumia 928 popped up in Vanity Fair, with a link to Nokia's website for the image above. 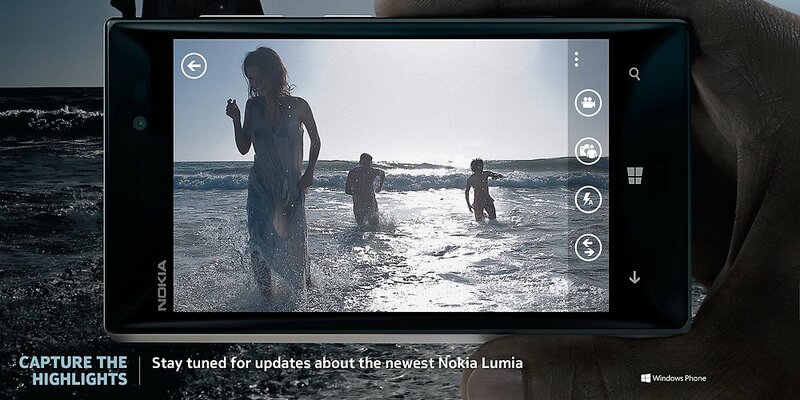 "Capture the highlights" the ad implores, and though the Nokia page doesn't say anything about the phone's name, the image's file name certainly includes the phrase "Lumia-928". 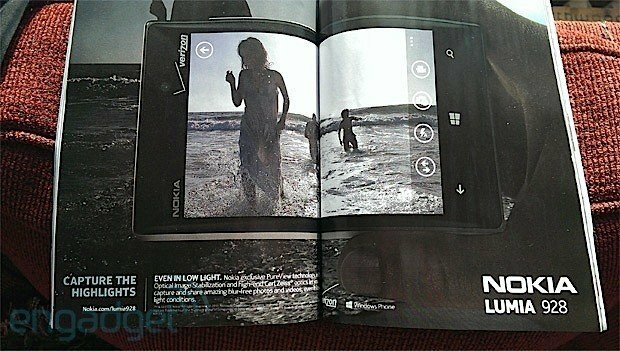 While the Nokia page doesn't spill any deets, the fine folks over at Engadget got a look at the ad in Vanity Fair (not really our rag; we're more GQ and Vogue folks) and like the billboard from this weekend, it touts the Lumia 928's low-light prowess. On board for the Lumia 928's camera are a lot of buzzwords we got from Nokia for its predecessor - the Lumia 920. The ad specifically calls out "PureView technology, Optical Image Stabilization, and high-end Carl Zeiss optics". Coupled with the already-leaked xenon flash unit, we expect the Lumia 928 will be a photo-taking powerhouse. Additionally, the phone in this ad is deliberately angled and lit so as to show off what by our eyes appears to be an aluminum body shell. The Lumia 928 has long been reported to be the first Nokia Windows Phone that will come ensconced in a metal body instead of the colorful unibody polycarbonates we've loved from the start. We're sure we'll love this one just the same, even if it doesn't come in yellow. The Vanity Fair ad also includes Verizon branding that's not present on the Nokia web image, but that the Lumia 928 is coming to Verizon shouldn't surprise anybody by now. Source: Nokia; Via: Engadget; Thanks to everybody that sent this in!